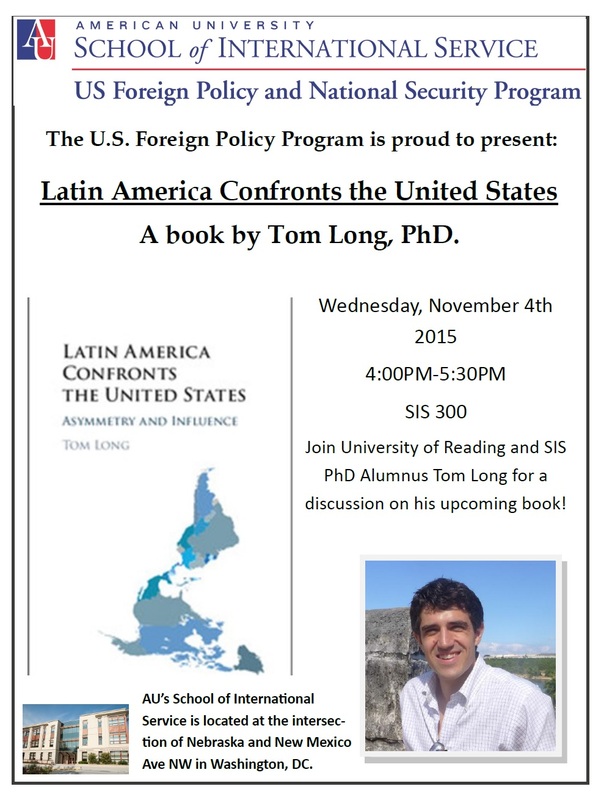 I will be presenting my new book at American University’s School of International Service. We will be in SIS 300 from 4-5:30 p.m. on November 4. Please join us! (Plus, I hear there will be coffee and snacks.) I am thrilled to be launching the book at the same place I started it (well, up a few floors). Latin America Confronts the United States: Asymmetry and Influence (Cambridge University Press, 2015) will be out in just a couple weeks. But you can tell your librarians now! By tsl2m5 in Uncategorized on October 16, 2015 .